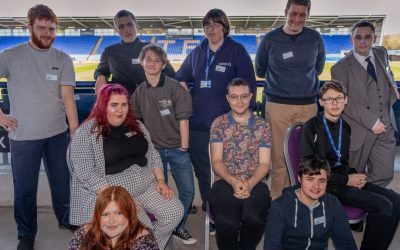 A special celebratory event was held on Wednesday 20 March 2019 at Shrewsbury Town FC’s stadium to mark the achievements of young people with disabilities completing their Supported Internships. The event, organised by Shropshire Council’s SEND (Special Educational Needs and Disabilities) team and Enable Employment Services, was attended by over 170 people. Attendees included young people who have completed, or are currently on, a Supported Internship, Shropshire employers who have offered placements and employment to the young people, social care practitioners, IASS workers, Shrewsbury Colleges Group, Hereford and Ludlow College, as well as their parents and carers who came along to share in the celebrations. Attendees were also treated to a dance performance from Derwen College students (Derwen on Tour). Supported Internships are for young people aged 16-24 with learning difficulties or learning disabilities, who want to get a job and need extra support to do this. Alongside their time with the employer, young people complete a personalised study programme which includes the chance to study for relevant qualifications required by the employer, which includes English and Maths. During the event, employers and interns described their experiences of taking part in the programme. The event also provided attendees an opportunity to share good practice around how to achieve an inclusive workforce as well as highlighting the benefits of employing a young person with a disability. 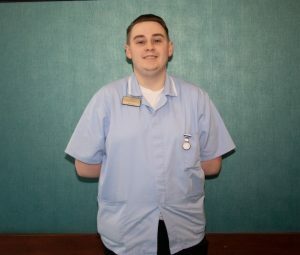 James Mitchell, a Supported Intern and member of the Enable focus group* spoke to attendees about his employment journey and how he is now starting an apprenticeship with his employer. The celebration event marked the end of an 18-month employment project SEND and Enable have been working on to increase employment opportunities for young people with disabilities.